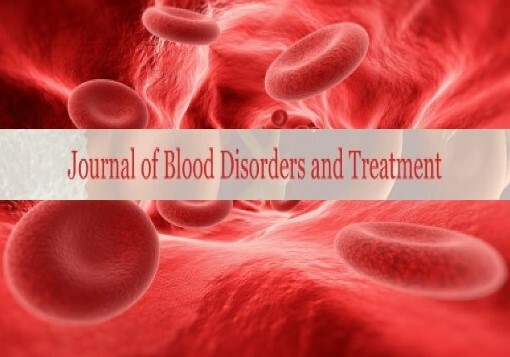 The Journal of Blood Disorders and Treatment is peer-reviewed, open access, scholarly journal aimed at publishing the latest advancements in the field, enriching our understanding of blood disorders such as: Clotting Disorders, Anemias, Hematologic Malignancies, Coagulopathies, Thrombotic Disorders, Hemoglobinopathies, Lymphoproliferative Disorders, Plasma Cell Disorders,and Immunologic and Genetic Disorders of the blood. The journal offers a platform for dissemination of information on all aspects of blood-related disorders such as prevention, diagnosis, and management of these disorders. The scope of the journal includes, but is not restricted to diseases such as: Anemia, Neutropenia, Hemophilia, Thalassemia, Antiphospholipid Syndrome,Lupus, Sickle Cell Disease, Leukemia, Lymphoma, Myeloma, Von Willebrand Disease, Autoimmune Lymphoproliferative Syndrome,and Deep Vein Thrombosis. Special emphasis is placed on the treatment and management strategies such as: Thrombolytics, Thrombectomy, Blood Transfusion, Stem Cell Transplantation, Artificial Cells, Blood Substitutes, Recombinant Clotting Factors,Gene Therapy, and Chemo and Radiotherapy. Authors are invited to publish their findings and opinions in the form of research articles, review articles, short communications, case reports, letters to the editor, guidelines, and techniques on all topics related to blood disorders.